Take a train and travel around the country is by far one of most exciting experience on Vietnam vacation. For those being interested in laying your eyes on the spectacular landscapes while being on transportation, a night train will provide you opportunities to take in the amazing natural scenery along the route as well as experience one enjoyable night on this interesting transportation. At the contemporary time, the number of visitors traveling to Sapa is on the significant increase. 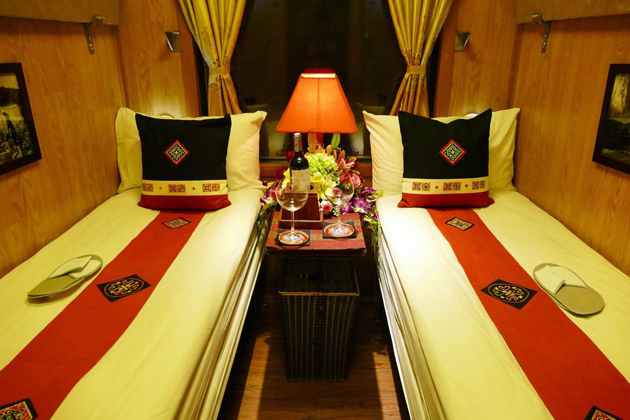 Therefore, one of the best options to have a perfect Sapa tour is go by night train from Hanoi. Hanoi – Sapa route has been in operation to serve visitors’ needs. From Hanoi Station, the train will depart during the night time and it takes around 6 hours to reach Lao Cai Station. 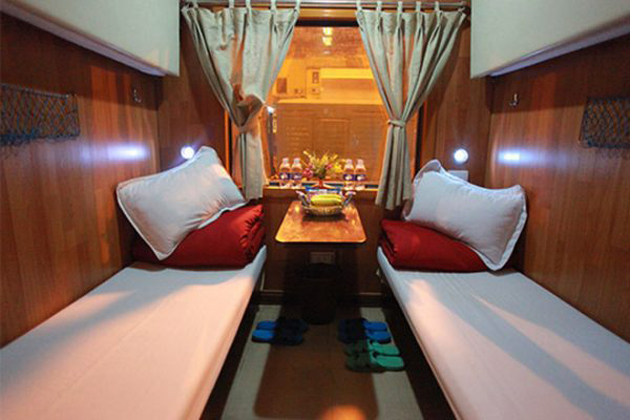 There are three major types of cabins in night trains including 4-berth, 6-berth, and soft-seat cabin. If you want more space and privacy but only for 2 people, you can use VIP cabin where the entire upper berth is taken off. The price per person in a 6-berth cabin is cheaper than 4-berth with $40-$50. On the other hand, to stay in 4-berth, each passenger must pay $70 – $90. Children who are younger than 5 years old will be free of charge and can share beds with their parents. The same price is applied to the returning train. 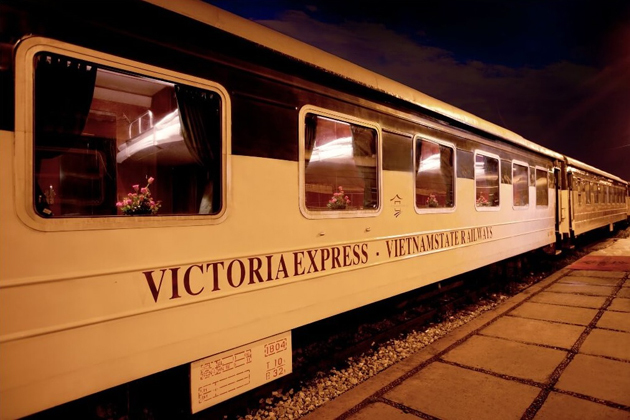 Victoria Express Train is one of the most luxury and deluxe night trains on Hanoi-Sapa route. 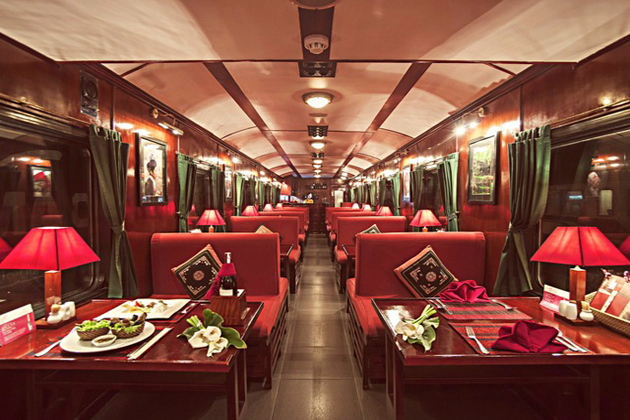 The train has a bar and restaurant serving the delicious and wonderful foods and drinks. The cabin owns full conveniences such as wooden decoration, individual reading lights, baggage storage, air condition system, and others services and utilities. Because each train only carry 40 passengers, the ticket price for Victoria Express Train is quite high: from $155 to $295. Orient Express Train has the cozy and relaxing wood-paneling cabins of state-of-the-art style, air-conditioner, and comfortable facilities. Deluxe cabin of 4 or 6 berths has the main character including luxury, inspiration, and refreshment. VIP cabin of 2 soft berths with remarkable interior décor and various services will be worth your purchase. 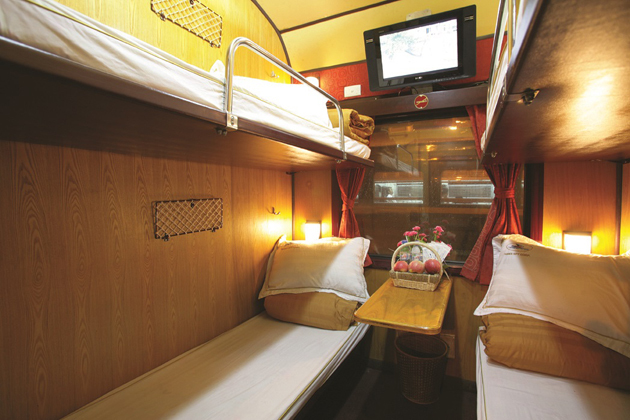 Fansipan Express Train owns carriages equipped by modern soft sleepers and air-conditioners in each cabin. Besides, the cabin also has reading lights, baggage store, snack and napkin for free. A minibar serving breakfast, coffee, tea, drinks at the corner of every carriage. Livitrans Express Train is said to be the cleanest and one of the most luxurious trains in Vietnam whose equipment can equally compared to a modern hotel. It comprises of VIP and Tourist cabin based on your budget. 6 VIP cabins include luxury and courteous wooden furniture with 2 soft berths meeting the 5-star hotel standard. Tourist ones have 7 cabins of 4 soft berths with cozy and convenient ambiance. The express train has a mini bar of each carriage. 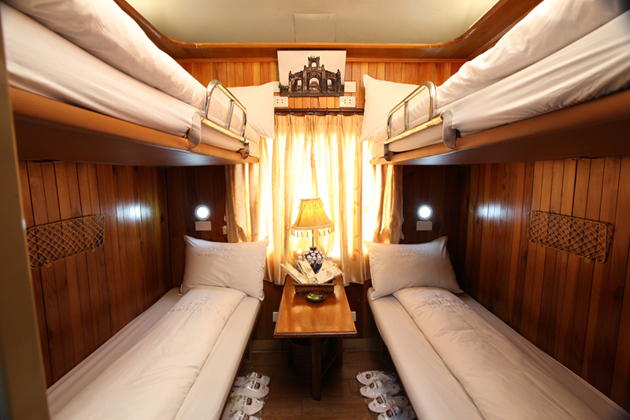 Sapaly Express Train has the carriages with full wooden decoration consisting of modern soft sleepers and air-conditioners. Each cabin provides reading lights, storage, water, snack and napkin for free. King Express Train is the symbol of the colonial traveling style in Northern Vietnam. Its name was set based on its top aim “Serve you as serve the King & Queen”. 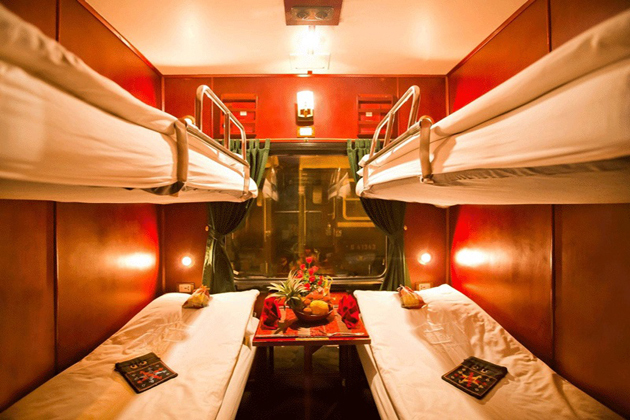 The train has the superior cabins of 4 berths and deluxe ones of 2 berths served by the professional staff. In addition to basic service, facilities, and all conveniences, passengers can enjoy a tasty drink in the morning and have chats with friends. 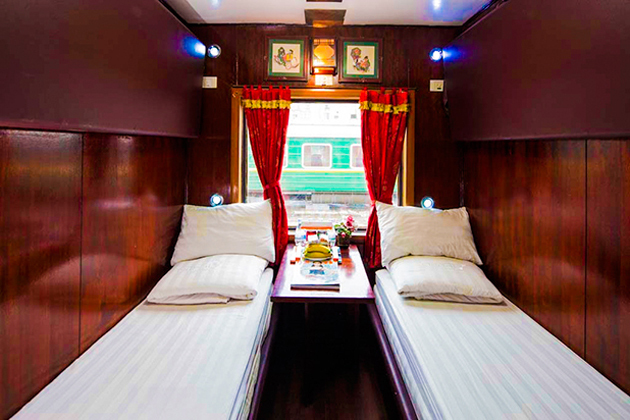 Chapa Express Train is considered one of the newest trains in Vietnam with new coaches, luxury furniture, and full conveniences. 7 wood-paneling, air-conditioned cabins with reading lights and storages will satisfy your requirements. First-aid box, hot heater, drink, snack, and towel are available in each cabin. The price is not included fees and taxes. A one-way ticket is available except the peak season. WC is not equipped on the cabin. It is a 38-kilometer way between Lao Cai Station and Sapa; therefore you can take a bus or car to Sapa. Meals are served on the train but you can also bring the food from outside. Despite having baggage storage, you should carry with you money and valuable things.